This design is a slenderer variation of the Large Victorian profile, with a more ‘flowing’ shape descending from the thinner apex of the profile. As with most larger profiles, this design is a great way to add the finishing touch to a period-style interior. 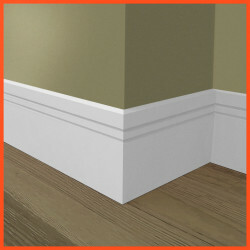 Our Large Victorian 3 skirting boards are manufactured from premium grade, Moisture Resistant MDF. This material is used extensively throughout interiors because of its durability and versatility. 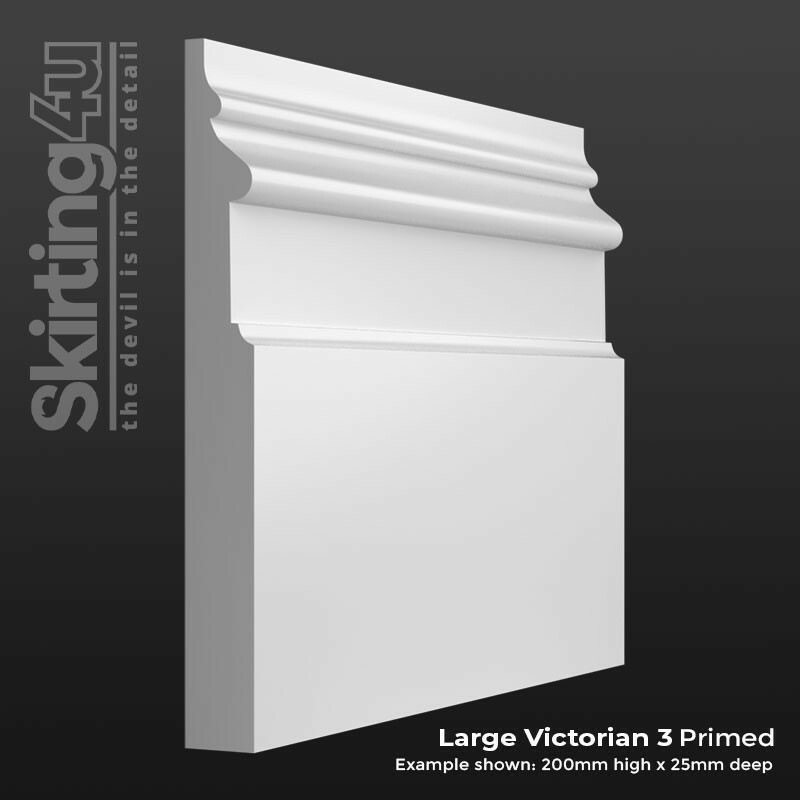 The Large Victorian 3 profile is produced in our factory located in the West Midlands using our best-in-class spindle moulders to achieve a superior moulding detail. We are confident that our products will withstand even the closest scrutiny, and actively encourage our customers to order a sample so that they can instantly see that the products we produce are of the highest possible quality.